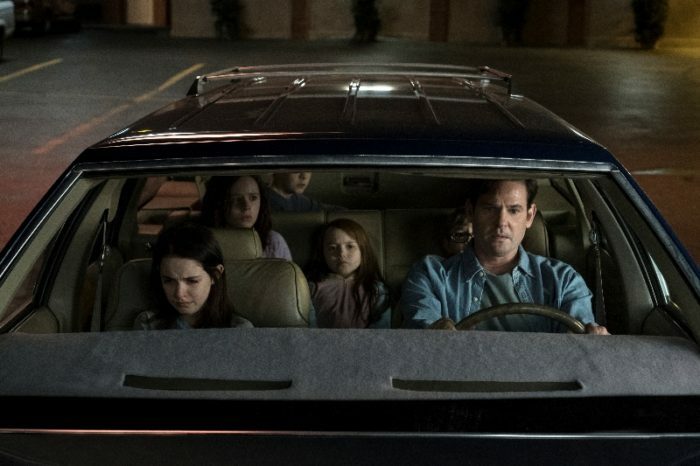 The Haunting of Hill House Review - Netflix Demolishes Genre Of Unease - Are You Screening? The horror genre has always been overflowing with analogy and representation, whether the monster du jour is a stand in for societal fears or simply the ghosts that haunt us all. 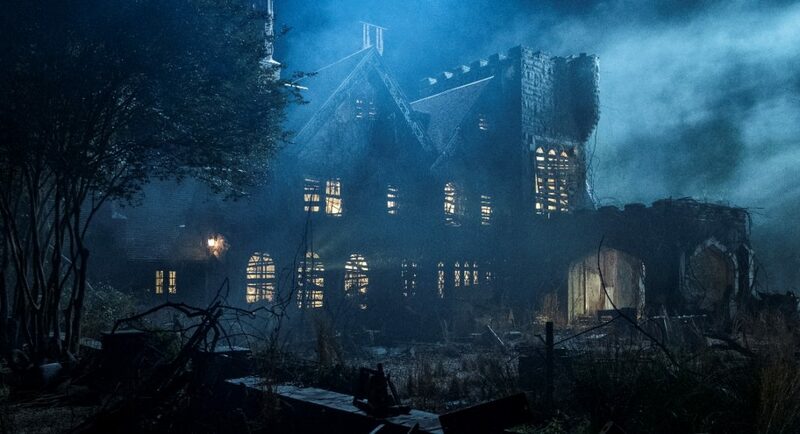 The Haunting of Hill House, a reimagining of Shirley Jackson’s novel, goes a step further than most by tearing apart nearly every aspect of familial relationships and, for lack of a better word, hyperbolizing them into ghosts that never leave… what is ultimately just everyone’s completely normal home. 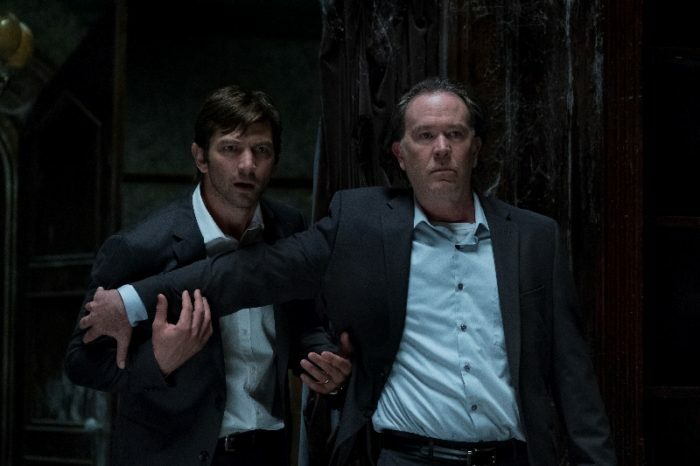 Taking place in two timelines, and constantly jumping back and forth, The Haunting of Hill House follows the Crain family, both when they first moved in with the idea of flipping the house, and in the present as the now grown children continue to struggle with the aftermath of the time they spent there. 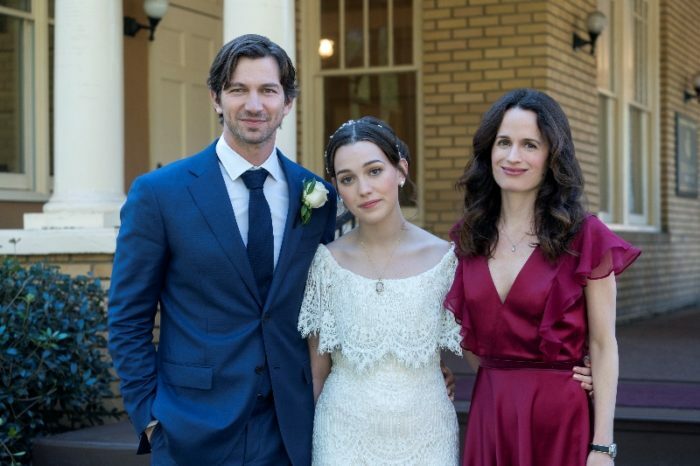 For eldest son Steven Crain (Michiel Huisman), nothing really happened at Hill House, and he wrote a best-selling novel on the subject. 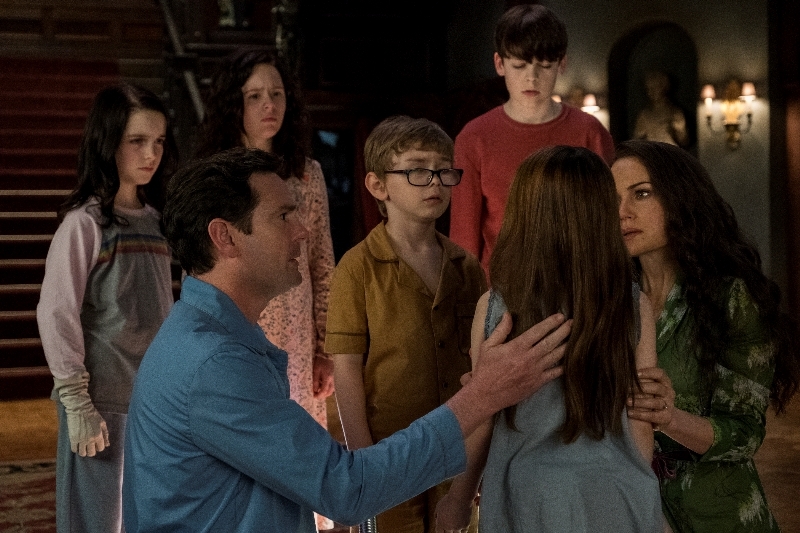 To be fair, very little actually happened to the kids growing up at Hill House… sort of, and it’s decidedly difficult to settle on what was real, whether you’re watching the show, or living through it like Steven. Younger sister Nell (Victoria Pedretti) occasionally sees some sort of ghost she calls the Bent-Necked Lady. Younger brother Luke (Oliver Jackson-Cohen) has an imaginary friend and claims to have seen a monster in the basement. Who didn’t grow up with someone seeing the occasional spook, or an imaginary friend? Mom (Carla Gugino) definitely acts weird, but that only fuels Steven’s belief that what he actually grew up with was a pack of crazy people. The event that is undeniable is the night the family left Hill House, when Dad rushed the children out of the house and drove away, after Mom had apparently committed suicide. No one has been back since, but all the children are in various states of struggling with the aftermath of growing up, and it looks like events are finally conspiring to bring them back. It’s hard to say that The Haunting of Hill House is scary exactly. There are creepy-looking ghosts, and the kids in the house are certainly scared at times, but the story’s horror comes more from unease than jumps or gore. There’s more to send a chill down your spine in worrying about a ghost than seeing one, or at least this is a show that thinks it can sell the idea. The real elegance that elevates the show is its ability to highlight the unnerving parallels and move you most when focusing on ghosts least. The show is stylized wonderfully, and sets a mood that pulls you to the edge of your seat as well as you could hope. That’s down to director/creator Mike Flanagan who nailed such elements in the slightly disappointing Gerald’s Game. But, what lifts the hairs on your neck is just siblings having it out about their childhood while having no clue what’s going on around them. “Dad was mean.” “Mom always loved you more.” “You got to do whatever you wanted.” “Mom was killed by a ghost.” The inability to recognize or respond to our formation is all the same. When it comes down to it, the show tears at and into you most when it sheds the horror and offers up reality directly as that which cannot be topped. Ripping into sibling relationships is not worse because it focuses on exploiting a ghost-riddled past instead of guilting someone into buying drugs. It’s no different at all. When one of the sisters ultimately says, “She knew what suicide does to people, and she did it anyway,” it’s a statement on the pinnacle of trauma, and there isn’t a ghost in the equation. 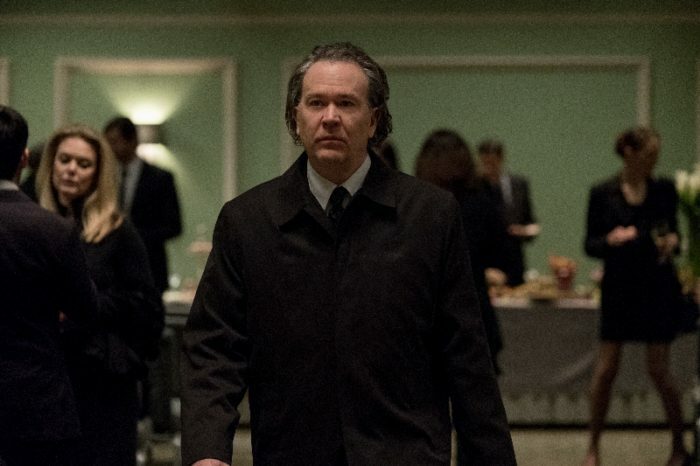 At one point further along in the show Dad (Timothy Hutton) gives us a little treatise on “witness marks,” the small nicks and scratches that tell a seasoned watchmaker what repairs have been done to a piece. Dad makes a big deal about the little clues that can tell the story of a clock, but are also easily missed, and we soon realize that’s all we were ever watching. 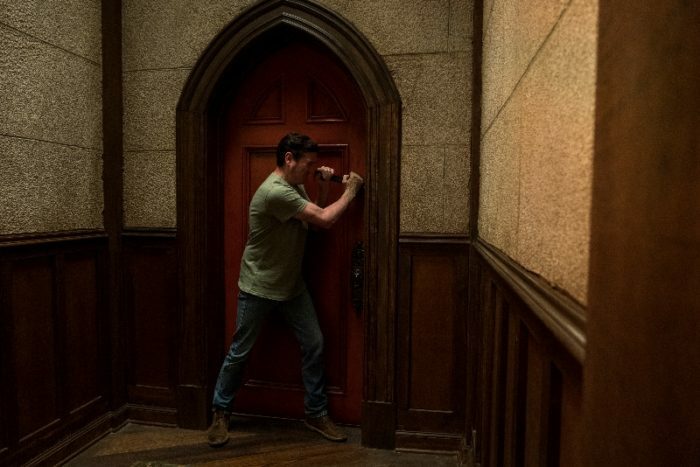 The Haunting of Hill House is as fun as you might hope for, though your popcorn might not go flying, and it’s a thoroughly entertaining ride, but it doesn’t hope to unsettle you because you are scared of ghosts, or spiders, or creaking floors in darkly lit rooms. It isn’t even simply an exploration of the effects of growing up that will “haunt” us all. It instead hopes for a more universal scare that you can’t avoid, because something is yours. A house that isn’t someone else’s, because they don’t what that nick in the wall is from, or why that window was replaced. A person who you “win” against all comers, because you can, “Remember that time…,” until you run out of breath. It turns out that examining how that whatever it is became yours is actually terrifying, and if there’s nothing else that’s yours… there’s you.